Armando Casas obituary. Carnes Funeral Home. 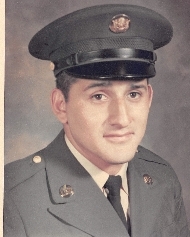 Armando Casas, 65, passed away on June 11, 2017 in Texas City. Born in Dumas, Texas, he was the son of Ramiro and Trinidad Casaz. He was employed at Farmer’s Copper and retired from Sterling Chemicals. He was a member of St. Mary’s of the Miraculous Medal and proudly served his country in the U.S. Army. He enjoyed many activities, but especially coaching his children. He spent many hours being a volunteer coach for softball, basketball, soccer and football. He will be remembered for his dedication to the students of O’Connell High School. He was the husband of Veronica Benavides-Casas. They shared 21 years of marriage together. He is survived by his daughter, Abriel Marisol Casas and sons, Trent Casas (Donna), Tye Casas (Nat), granddaughters, Alyssa and Amber, brothers, Joe Casas (Pat) and Benny Casas (Linda), bother-in-law, Lupe Benavides Jr. and many aunts, uncles, cousins and friends. He also leaves behind his faithful companions, Dino, Pebbles, Rocco, and Emma. He is predeceased by his parents, bothers, Ray Casas and Adam Casas and in-laws, Guadalupe and Ester Benavides. Pallbearers are Jacob Nunez, Hunter Moore, Juan Villarreal, Jay Cromie, Ronnie Cortez and Don Walzel. Honorary pallbearers are Trent Casas, Tye Casas, Joe Casas, Eddie Pizzatola, Phillip Scott, and Lewis Dannar. There will be a public visitation held on Friday, June 16, 2017 at 5pm located at Carnes Funeral Home. 3100 Gulf Freeway Texas City, Texas 77591. The funeral services will be held on Saturday, June 17, 2017 at 11am located at Carnes Funeral Home in Texas City with interment at Hayes Grace Memorial Cemetery with military honors. Following the funeral there will be a celebration of life at Ponzini Hall at St. Mary’s of the Miraculous Medal.